News from the collective rights management world, this time from Nigeria! 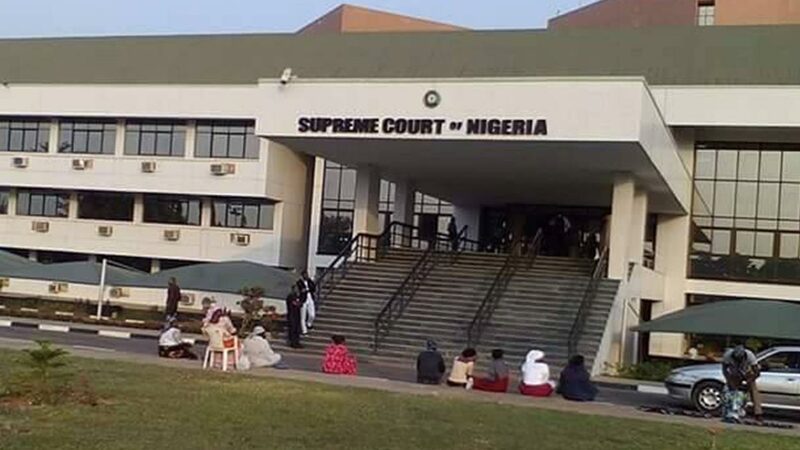 1709 Blog friend and fellow blogger Chijioke Okorie explains what happened in the recent decision of the Nigerian Supreme Court in Adeokin Records v Music Copyright Society of Nigeria [Chijioke is happy to provide a copy of the judgment upon request]. Last month the Nigerian Supreme Court delivered its judgment in the case of Adeokin Records & another v Musical Copyright Society of Nigeria Limited (MCSN) SC/336/2008, holding that MCSN had the capacity (locus standi) to institute the suit as owner, assignee and exclusive licensee of copyright. The outcome of this case was rooted within two main grounds. First of all, because it was an issue of locus standi, the court rightly held that only the statement of claim may be considered and extraneous documents outside the statement of claim cannot be considered. Given the fact that Adeokin Records did not challenge MCSN’s averment in its statement of claim that it was “owner, assignee and exclusive licensee of copyright”, the court took the issue as established. 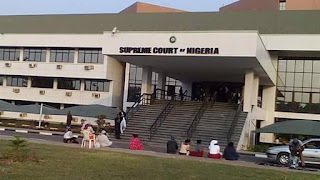 The second ground for the decision of the Supreme Court was that at the time the suit was instituted, the provisions of section 17 of the Nigerian Copyright Act which mandated “pseudo” collecting societies to obtain a collecting society licence from the Nigerian Copyright Commission (NCC) had not been promulgated and so was not in effect and/or applicable to the suit. Section 17 refers to entities involved in the business of negotiating and granting licences, distributing royalties or having more than 50 members who are copyright owners. Readers would recall that until April 2017 when the NCC issued MCSN with a collecting society licence, MCSN had resorted to describing itself as an “owner, assignee and exclusive licensee of copyright” and has been suing in that capacity. See here. With this decision, it appears that a description in the Statement of Claim as an exclusive licensee of copyright will confer locus standi on a party that would otherwise have required a collecting society licence. However, it is to be noted that the issue of locus standi is an issue of jurisdiction, which may be raised at any time in court proceedings. So, it might turn out at the end of the day that an exclusive licensee may escape the collecting society licence hurdle at the beginning of the suit but would find itself challenged during trial when evidence is led as to the nature of its business. More importantly MCSN, having been issued licence to operate as a collecting society, will no longer need to continue describing itself as an exclusive licensee of copyright in order to sue for copyright infringement. It would only be a new and intending collecting society that may apply such description in suing for copyright infringement. Nevertheless, it is to be noted that the Copyright Act restricts the discretion of the NCC in issuing collecting society licences. By virtue of section 39(3) of the Copyright Act, the NCC may not issue licence to another collecting society for any class of copyright owners if it is satisfied that the existing collecting society adequately protects the interest of that class of copyright owners. Following the issuance of collecting society licence to MCSN, COSON had instituted Suit nos. FHC/L/CS/1259/2017 against MCSN, the NCC and the Attorney-General of the Federation contending that because COSON’s operating licence covered musical works and sound recording, MCSN should not have been issued licence for the same rights. The Federal High Court dismissed the suit holding that NCC’s issuance of licence to MCSN did not violate the provisions of the Copyright Act. There is also the issue of impending revocation of COSON licence in view of its refusal to comply with NCC’s directive. See here. A few days ago, the Music Publishers Association of Nigeria (MPAN) urged the NCC to reconsider the suspension of COSON’s licence as it has prevented copyright owners from earning royalties for the use of their works. If COSON’s licence is revoked, the music industry will be left with one collecting society until COSON gets its act together or NCC issues licence to another entity. Would existing associations such as MPAN, which has many copyright owners as members yet give COSON a run for its money?